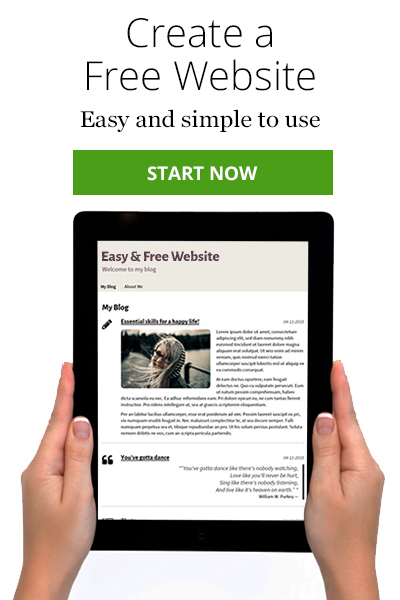 You've probably already fallen in love with your SimpleSite and how easy it was to get started online and how effortless it is to post new articles and create new pages. If you don't already have a SimpleSite, what are you waiting for? You can get started now and have your site online in minutes. Just click the green button to get started. Have you seen websites that have vivid video backgrounds rather than plain colored backgrounds or static pattern backgrounds? 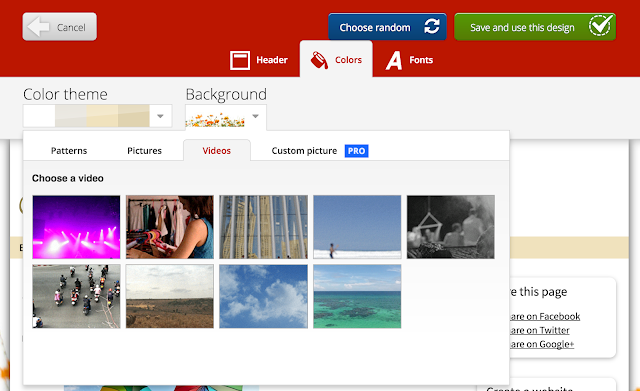 And have you then wondered how you could have that feature on your own SimpleSite? That day has come. In just a few clicks, you can have a video background on your SimpleSite without the cost of buying an expensive video to use. Video has become an important feature to make your site extra lively and engaging. As a result, SimpleSite now provides this professional feature. And of course, since it's SimpleSite, this is a very easy feature to use. Go to the design bar under 'More backgrounds'. Look to the right and click on 'settings' and then 'edit design'. When the new page opens, look in the center close to the top and click on 'colors' and then 'background' and 'videos'. Choose a video and see how it livens up your site. Click 'save and use this design' at the top. Add music to further enhance the ambience on your site. Go to 'settings' and then 'manage pages'. Click 'music' to choose the type of music that matches your site's personality. SimpleSite will be adding more videos to choose from little by little. And you can change which video you use whenever you like with only a few clicks. When you want your readers to perform a particular action, like making a purchase from your online store, it's important to make sure that they know what to do. SimpleSite now gives you an easy method to do just that. 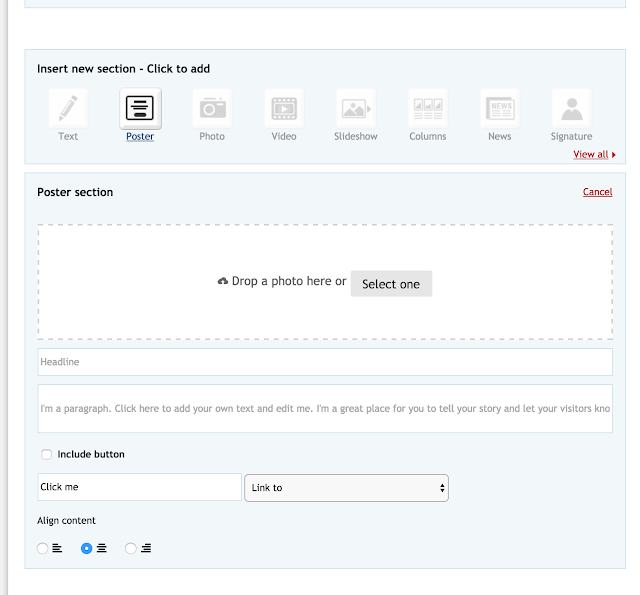 The new poster section makes it simple for you to attract the reader's attention with an engaging image, descriptive text, and a call to action button. Like videos, images are extremely important to make your site appealing. An image that speaks to your readers combined with your call-to-action button makes a winning combination. Your call-to-action button can be even more effective if your image cleverly focuses attention on the button. For example, you might have a person in your image who looks toward the button, or your image could have an arrow pointing to the button. Click the blue button 'edit this page' in the upper right. When the new page opens, look for 'insert new section – click to add' and click the 'poster' icon second from left. The poster section will appear below the row of icons. Fill in headline and text – they will appear on top of your image. These professional features are already live on SimpleSite. Don't wait. They'll liven up your site and make it more enticing to readers. Ready to get started online? Click the green button.